The serratus anterior muscle can give you pain at the side of your chest, beside your shoulder blade or at the inside of your arm. If trigger points are troubling your serratus anterior, you might experience pain mainly at the side of your ribcage and low down at the inner side of your shoulder blade. Furthermore, pain can radiate down the whole inner side of your arm. Also your inner hand and 4th and 5th finger might be painful – not shown in the pictures below -. These are mostly limited to pain or a stitch during breathing. The reason for this is that your chest expands during breathing which in turn elongates your serratus anterior. If it is too tight or contains trigger points this may be painful. You even may feel short of breath. The serratus anterior runs from the first 9 of your ribs in a planar manner to your shoulder blade. It consists of three parts. 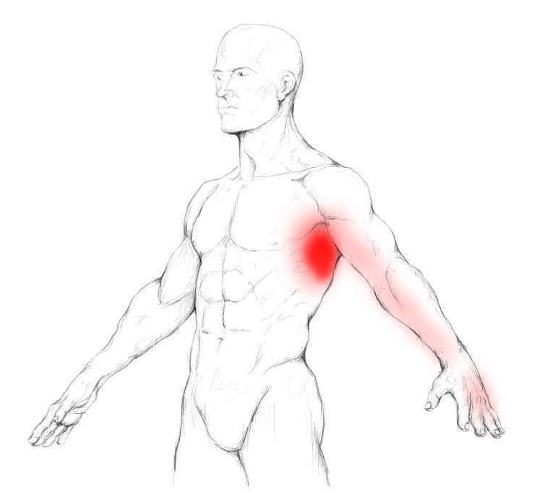 The X1 displays a common area where tender or trigger points develop in this muscle. When the shoulder blade is in a fixed position – e.g. 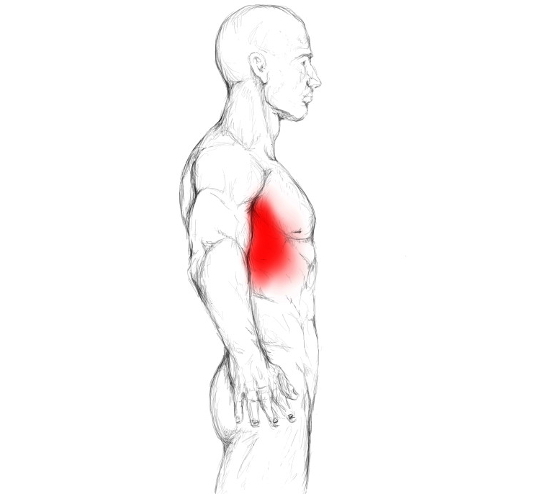 breathing after a sprint – the serratus anterior lifts the ribcage and thus supports breathing. If you are doing lots of heavy sprinting intervals you can overwork your serratus anterior muscle and eventually suffer from trigger points. Why? When running, your arms are swinging pretty heavy. During the forward swing your serratus is very active to bring your arm forwards and upwards. When you are not used to this or do not give yourself sufficient rest, this may become too much pretty quick. 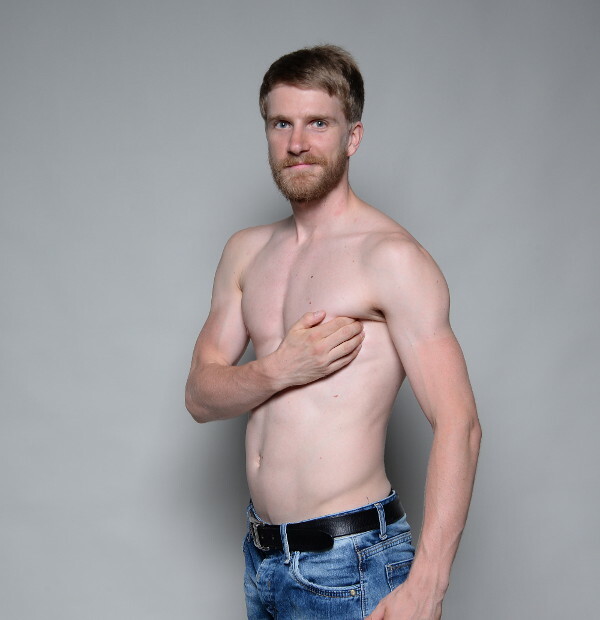 Also a bad cough can overwork your serratus anterior as you often might breathe very hard during that time. Your serratus anterior muscle is very thin and covers the side of your rib cage. You can massage this muscle with your hands or with a massage ball. 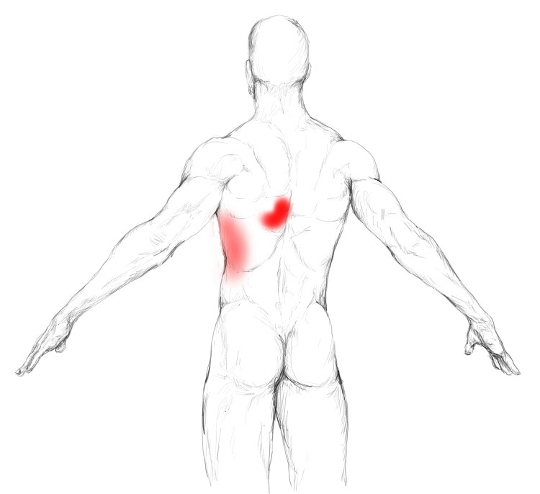 Place a massage ball or your hands on the serratus and search for tender or trigger points. As soon as you encounter such a point, stay in its vicinity and massage it with slow and precise strokes. That means you either roller over it with the ball or pull over it with your hand.